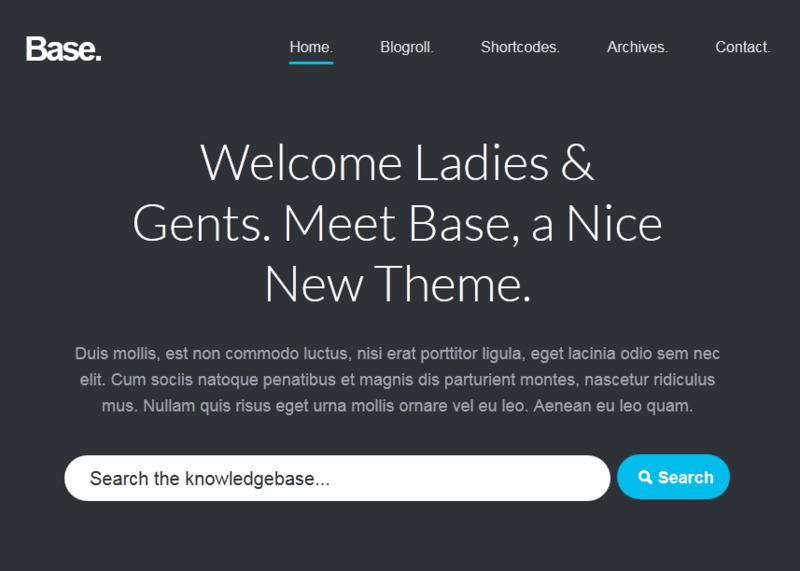 Base: it has a clean and professional design with three styles. The theme is ready for Retina displays. It supports audio, gallery, video, and image post formats. 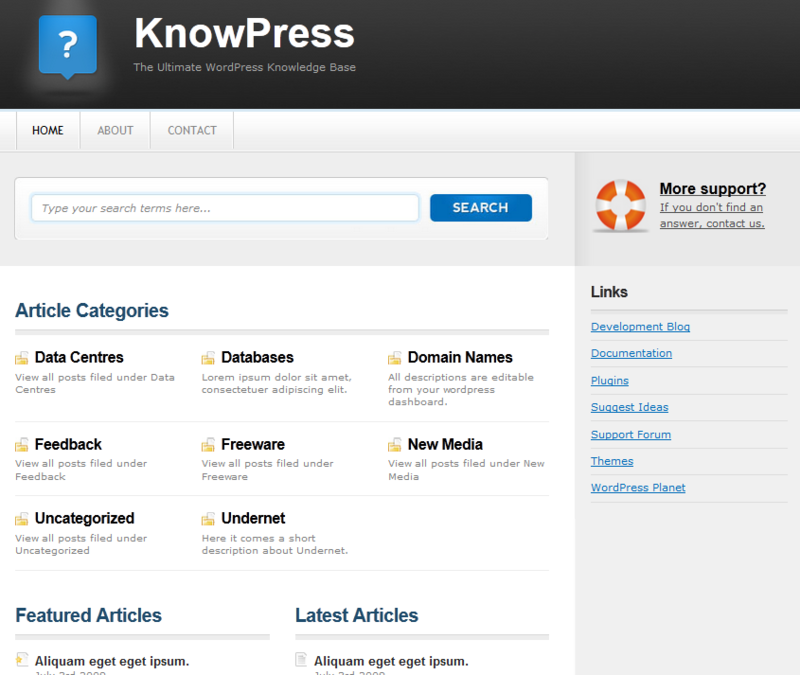 KnowPress: allows you to create a customized database of articles and information. It has 5 different colors. KnowledgePress: has a responsive design and offers unlimited colors. It has live search and shortcodes. It works for support center sites. 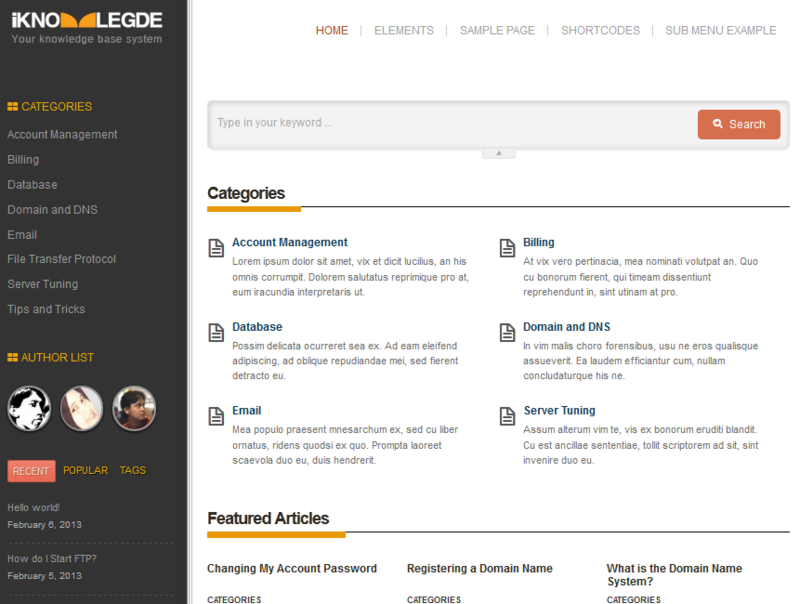 iKnowledge: this theme offers 4 color options with custom page templates and custom widgets. You can update the framework conveniently. The theme has its own rating system and is ready to be localized. 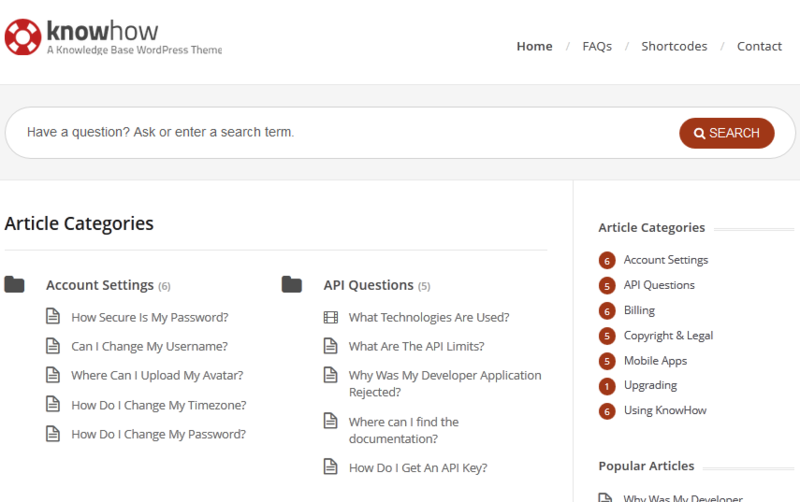 KnowHow: you can use this to start your own Wiki, FAQ, or Knowledge Base site. It has a responsive design. 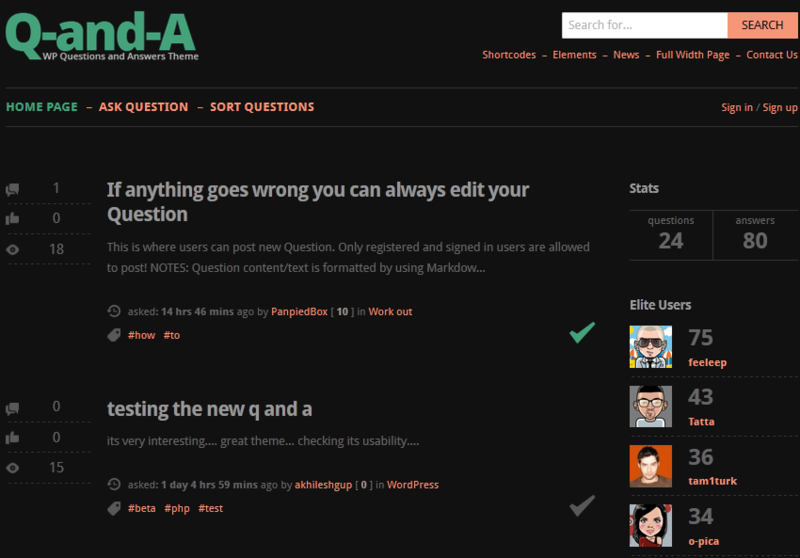 Q-and-A: designed for question and answer sites. It has built-in voting system with reputation management. The theme is AJAX powered and has a responsive design. You will need a lot of good content to make these types of sites a success. The above themes make it easier to get started with the process.